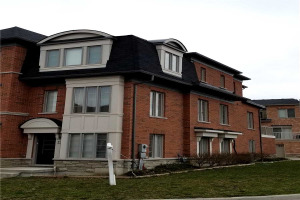 Welcome To 73 Mendelssohn St. A Well Maintained 3 Bedroom Freehold Townhome Located Within The Clairelea-Birchmount Community. This Home Features A Single Car Garage With Convenient Inside Access To The Ground Floor Office Or Den. The Main Floor Open Concept Kitchen That Overlooks The Living & Dining Room With A Walk-Out To Balcony Is Ideal For Entertaining! 3 Spacious Bedroom Can Be Found On The Upper Of This Beautiful Home! Book Your Private Viewing Today! Fridge, Stove, Built-In Dishwasher, Washer, Dryer, Central Air Condition, All Electric Light Fixtures Including 2 Ceiling Fans, All Window Coverings, Engineered Hardwood Throughout, Garage Door Opener & 2 Remotes.